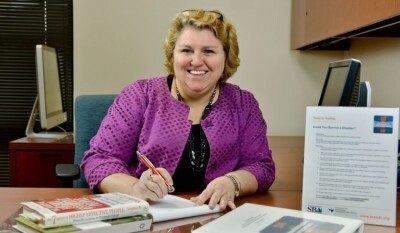 Deirdre Pattillo, SPHR, is Project Manager for Employer Services for the South-West Texas Border SBDC Region’s Procurement Technical Assistance Center at the UTSA Institute for Economic Development. She has served the SBDC community since 1998, and has been specifically focused on Human Resources and regulatory compliance for small business since 2003. As a certified human resource professional, Deirdre provides direct assistance to small business employers in the areas of employment practices, emergency preparedness, regulatory compliance, jobsite safety, drug-free workplace and effective HR management. Working in collaboration with the field centers of the South-West Texas Border SBDC Network, she provides training and free, confidential counseling to small businesses throughout the region. Her goal is to be a key resource for the people side of small business.